This shawl begins simple enough, with the comfort of garter stitch leading to a finale of stranded bliss. With its i-cord bind off, the final piece is substantial, interesting, and cozy. 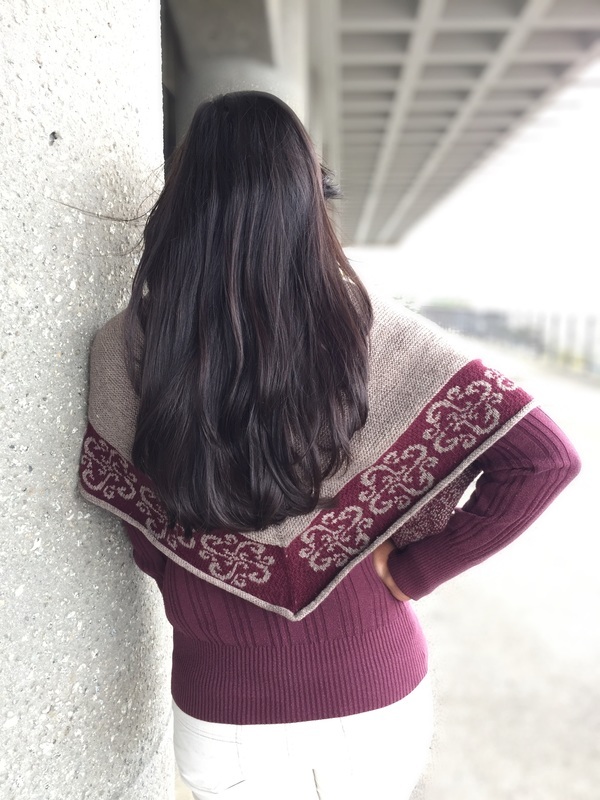 By locking the floating yarns on the back of the stranded portion, the back of the piece is almost as interesting as the front. Needles | Size 3 (3.25 mm) 24" circular. Adjust needle sizes if necessary to obtain the correct gauge. Notions | Stitch markers (m); measuring tape; tapestry needle. ​Gauge | 27 sts and 56 rows = 4" (10 cm) in garter stitch, blocked.